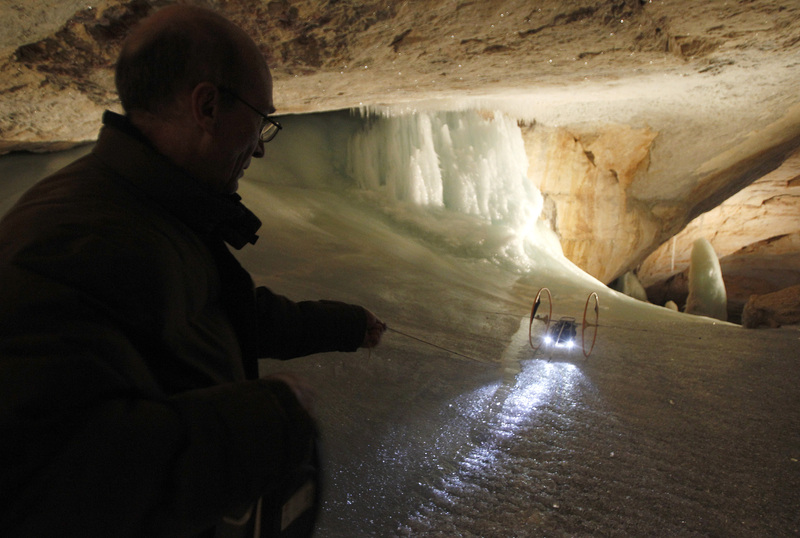 In preparation for a future Mars mission, scientists gathered at the end of April in an Austrian cave called Eisriesenwelt or “the world of the ice giants” to perform studies and test equipment. 11 nations participated in the field tests. 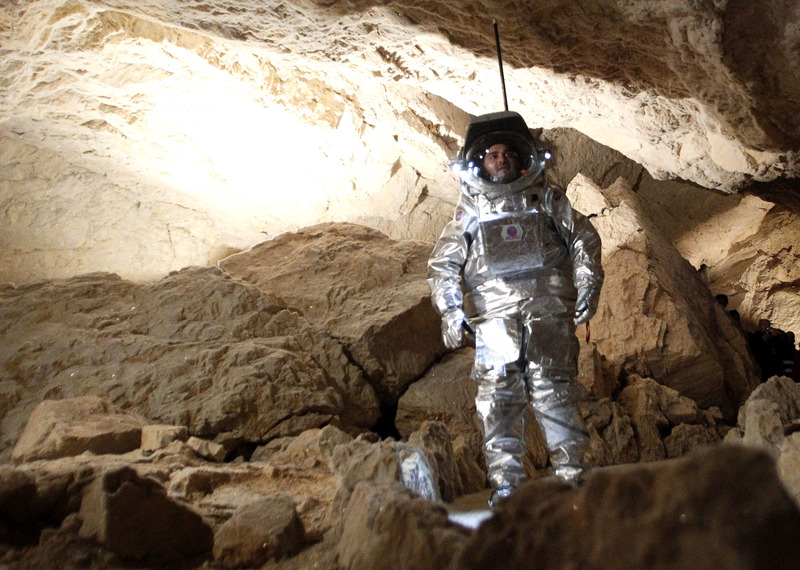 Physicist Daniel Schildhammer wears the Aouda.X spacesuit simulator during a field test in the ice caves (Credits: Reuters/Lisi Niesner). Caves like these are the most likely place to find life on Mars since they provide some protection from cosmic rays. Some consider these caves likely locations for human camp grounds or habitation. A scientist of Association Planete Mars tests the CRV Cliffbot (Credits: Reuters/Lisi Niesner).